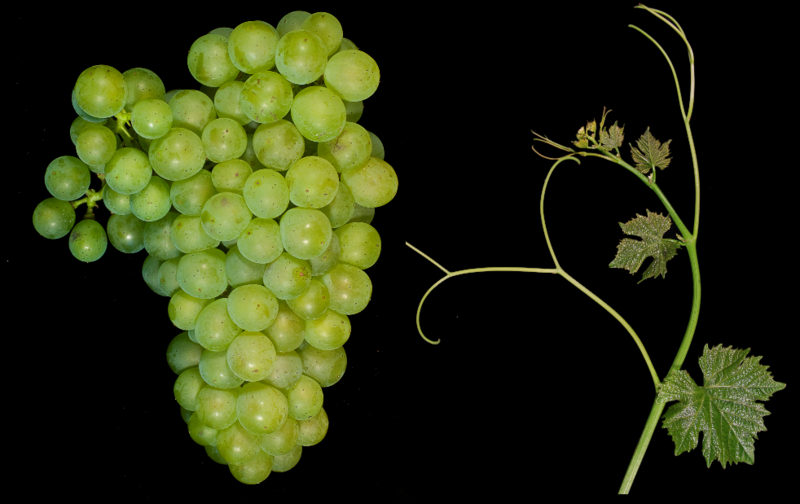 The white grape variety is a new breed between Sylvaner x Müller-Thurgau according to published in 2012 DNA analysis, The paternity indicated in the breeding list Rieslaner it turned out to be wrong. The name derives from the fortress Marienberg in Würzburg from. Incidentally, the same parents are also the new breeders Diana (1) and Gloria emerged. The crossing took place in 1951 by Dr. med. Hans Breider (1908-2000) at the Bavarian State Institute for Viticulture in Würzburg, the variety protection was granted in 1971. It produces a yellow-green, delicately fruity wine with peach flavor. In 2010, three hectares of vineyards with steep declining tendency were reported (Statistics Kym Anderson ). This page was last modified at 31 December 2018 at 08:32.